This is kinda one of those convenient, on the spot new things. Basically I saw something, I realised I hadn’t done it, so I queued up and I did it. Last year at the Greenwich Observatory I got to see the moon and that was pretty awesome. 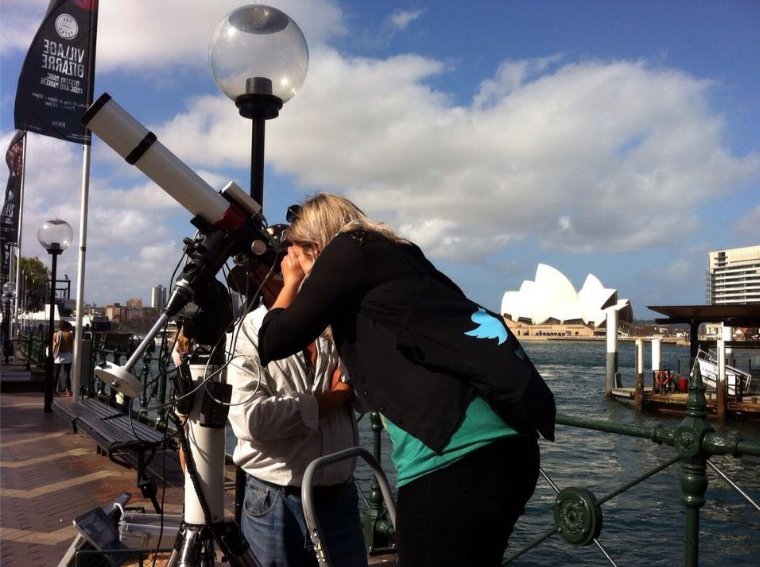 So last month when I was walking around the stunningly beautiful Sydney Harbour and I spotted a man with a big telescope (not quite as big as the one in Greenwich) offering to show people an up close look at the Sun, I knew it was something not to be missed. Seeing the sun up close was pretty cool, once your eyes adjusted you were able to see a lot of detail such as sun spots on the Sun and also the solar flares coming off of it. Not that I fully understand what sun spots are, but still nice to see. If you’re ever in Sydney Harbour I recommend you walk round to the side where the MCA is and find this man and his telescope. Also I didn’t go blind from staring at the sun for so long, so win!